The DI-804HV is a 4-port Ethernet Broadband Router with VPN (Virtual Private Network) capabilities. The DI-804HV is ideal if you’re creating your home or small business network, or if you’re a more advanced user looking for additional management settings. D-Link, the worldwide leader in innovative home and business networking, sets a new standard for broadband router performance with the Express EtherNetwork DI-804HV. The DI-804HV is a 4-port Ethernet Broadband Router with VPN (Virtual Private Network) capabilities. The VPN feature allows users to securely connect multiple computers over the Internet. It also features 10/100Mbps Auto MDIX Ethernet ports allowing CAT 5 cable (straight-through or crossover) to work with the DI-804HV. The DI-804HV is ideal if you’re creating your home or small business network, or if you’re a more advanced user looking for additional management settings. The DI-804HV includes a new setup wizard and D-Link’s easy-to-use web-based graphical user interface (GUI) to help users configure network settings with a few simple clicks. With its built-in firewall protection, this router will also help to prevent unwanted Internet intruders from accessing your private network. 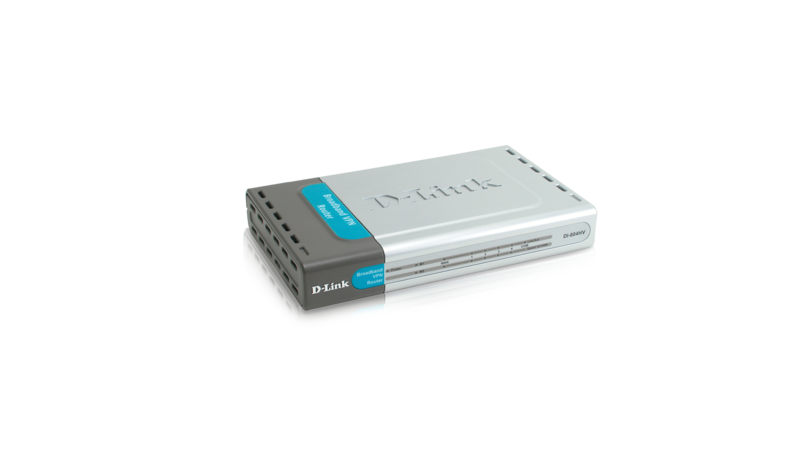 So, whether you’re a college student who wants to network with friends and roommates, an executive working at home or in a small office, or a concerned parent who just wants to have more control over how your children access the Internet, the D-Link Express EtherNetwork DI-804HV is the networking solution for you.